The International Society for Economics and Social Sciences of Animal Health (ISESSAH) was established in 2017. ISESSAH aims to improve animal health and welfare policies, programmes and projects through more nuanced use of concepts and tools available in economics and social science disciplines. 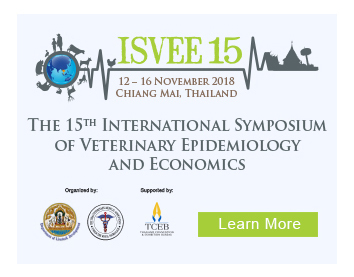 The ISESSAH 2018 conference will provide a forum to meet colleagues and leading thinkers in the field to enhance the use of economics in animal health education, research and policy making internationally. ISESSAH 2018 is co-organised by the French Institute for Agricultural Research for Development (CIRAD), Toulouse National Veterinary School (ENVT) and National Institute for Agriculture Research (INRA) on behalf of the ISESSAH. The combination of ISESSAH 2018 and INNOVSUR forum will provide a specific opportunity for greater North-South interactions and emphasize on environmental and agricultural health economic issues. ERIAH (Economic Reasoning for Improved Animal Health) is a research network funded by the French National Institute for Agricultural Research (INRA) since 2016. It aims at promoting economics applied to animal health within health specialists (e.g. biologists, epidemiologists...) and economists, by facilitating common language and improving mutual understanding. The final goal is to foster a transdisciplinary research approach. It involves scientists, professionals, industrials, syndical organisations and policy makers. This ERIAH workshop will focus on how to translate economic assessments outputs into practical decision-making. 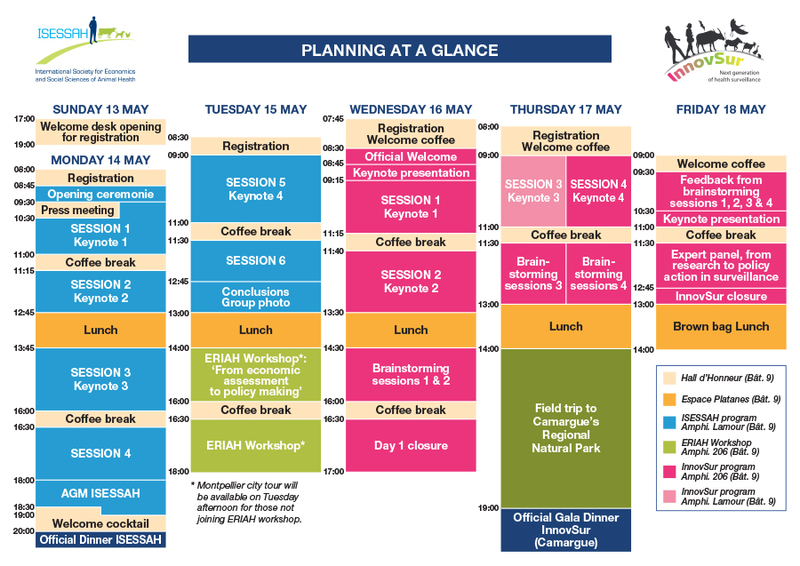 The workshop will be organised as one main keynote and small working groups. Participation is free for participants of ISESSAH conference and/or InnovSur forum but registration is mandatory. InnovSur forum aims to review and discuss the gaps and needs in next generation of health surveillance: innovations in animal, human and environmental health surveillance but also at the interface (integrated surveillance). 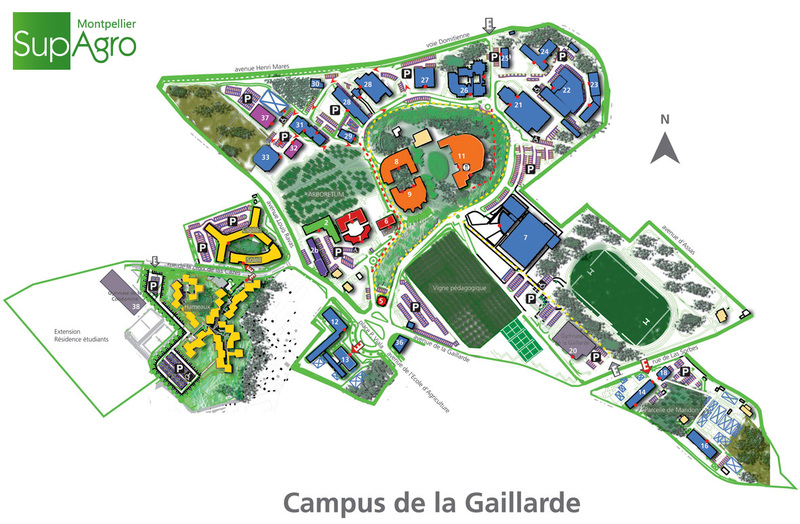 From Jardin du Peyrou located near city centre, go down Boulevard des Arceaux, continue on Avenue de l’Ecole d’Agriculture leading to Place Viala. 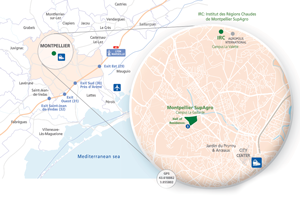 From Airport Montpellier Méditerranée, take Shuttle/Bus La Navette, get off at Place de l’Europe stop to connect with city centre by tramway (line 1) and get to Gare Saint-Roch stop where you can take Bus number 6. Montpellier Méditerranée Airport is the 11th French airport and the 1st airport in Languedoc Roussillon. Six regular airlines (Air France, Alitalia, Air Arabia, Ryanair, Easyjet, Volotea) operate to and from it. In 2013, the airport features the following destinations (new destinations are likely to be available in 2015). The airport is at 10 kilometers from Montpellier center (15 minutes drive), midway between the town and the sea. Taxis, car rental and a shuttle service (11 times/day) are available. The cost of a taxi is around €25, and the cost of the shuttle is €1.60 (intermodal ticket with city bus/tramway included: €2.60).